OUT NOW on iTunes, Google Play, Amazon, Spotify and CD. The award-winning, Manchester-born singer-songwriter has established himself as one of the more interesting songwriters on the London gig circuit playing both solo and with a full band. He performed at 12 festivals over the summer of 2017 including The Great Escape, Camden Rocks, Liverpool Sound City, Reverb Festival, Tramlines and Standon Calling and in 2016 supported Muse at the O2 playing at the priority lounge. He also organises his own music festival and curated a great line-up of independent artists for 2017. The Festival is called Music Makers Festival (www.musicmakersfestival.com). Albert was featured on Best Of British Unsigned as “one to watch” for 2017 saying they “love Albert's sound”. This was swiftly followed up with him being chosen as their featured artist of the day twice and has been nominated for 'Best Unsigned Male' for their Unsigned Music Awards 2017. He has received airplay on BBC Introducing in London twice as well as having had tracks played on BBC Essex, BBC Leicester, FUBAR and Wandsworth Radio. He has also performed live multiple times on BBC Essex and as part of London Live’s music sessions. Albert is also a Fresh On The Net favourite having had tracks chosen by Tom Robinson's Fresh Faves five times now. Albert had a sold out launch at St Pancras Old Church for his 2017 EP ‘Nothing Of Nothing Much’ (www.albertman.com/nonm) and the live recording has been released as a live album called 'Live At St Pancras Old Church' (www.albertman.com/live). His 2016 self-produced album 'Cheap Suit' (www.albertman.com/cheapsuit) won the 'Best Independent Album' award on the Alternative Friday blog. 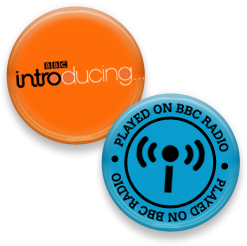 Praised by BBC Head of Music as a “brilliant singer-songwriter,” Albert Man is an “insightful artist to watch” according to Pledge Music’s managing editor Matt Conner. He has established himself as one of the more interesting songwriters on the London gig circuit with avid support from RockShot Magazine, who compared his songs to that of “Ben Folds in verse, wit and chord changes”. The award-winning, Manchester-born singer-songwriter plays both solo and with a full band, writing melodic pop songs described by Fresh On The Net as “sweet piano led shenanigans that come over like the lovechild of Billy Joel and Adam Levine”. Albert released his eleven-track, self-produced album 'Cheap Suit'' in 2016, receiving airplay on both FUBAR Radio and BBC radio. The album won the 'Best Independent Album' award on the Alternative Friday blog in 2016 and was described as “a wonderful wonderful album” by BBC presenter Ady Dayman. Two songs from this album were also chosen for Tom Robinson's Fresh Faves. He has a six-track EP 'Nothing Of Nothing Much' out, recorded at Pete Townshend's barge studio and has received airplay on BBC Introducing London for his new single 'I Feel Like Dancing' twice. The same song was chosen for Tom Robinson's Fresh Faves on his Fresh On The Net blog in the same week – “I Feel Like Dancing, is the result of a highly professional quality of songwriting that, given the publicity, would easily scale the charts.” – Benji Tranter (Fresh On The Net). The EP has received great reviews from publications such as GigSlutz, RockShot Magazine, Fame Music, XS NOIZE, Fresh On The Net and The Huffington Post, was Song Of The Day in Songwriting Mag and was a feature in iSing Mag. He had a sold out EP launch at St Pancras Old Church and the live recording from the night has been released as a live album, 'Live At St Pancras Old Church'. Albert featured on Best Of British Unsigned as “one to watch” for 2017 saying they “love Albert's sound”. This was swiftly followed up with him being chosen as their featured artist of the day twice and has been nominated for 'Best Unsigned Male' for their Unsigned Music Awards 2017. He performed at 12 festivals over the summer of 2017 including The Great Escape, Camden Rocks, Liverpool Sound City, Reverb Festival, Tramlines and Standon Calling. He also organises his own music festival and curated a great line-up of independent artists for 2017. The Festival is called Music Makers Festival (www.musicmakersfestival.com). 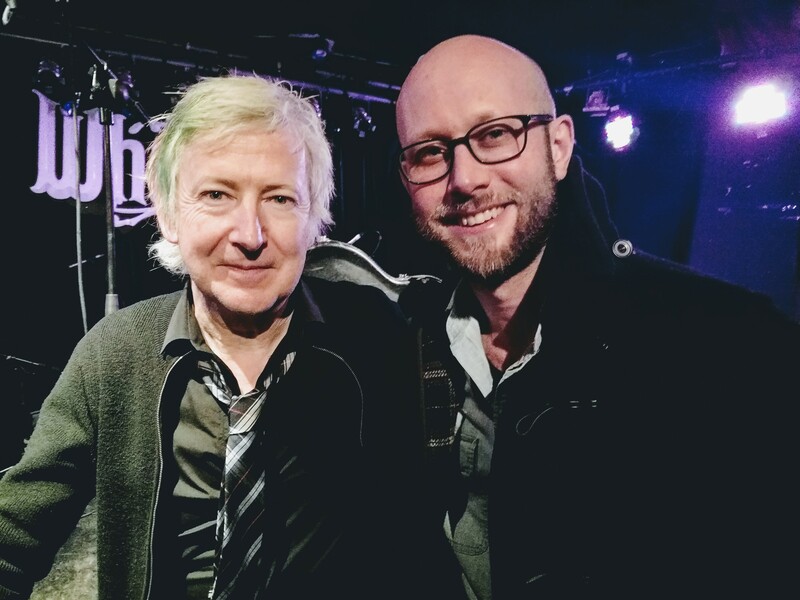 Albert took part in the 2017 Dublin Bowie Festival where he played at multiple venues and shows including the last night of the festival, Bowie Raw, at the Grand Social as part of the line-up which included Bowie-collaborator Gerry Leonard.